A few more changes under the hood. 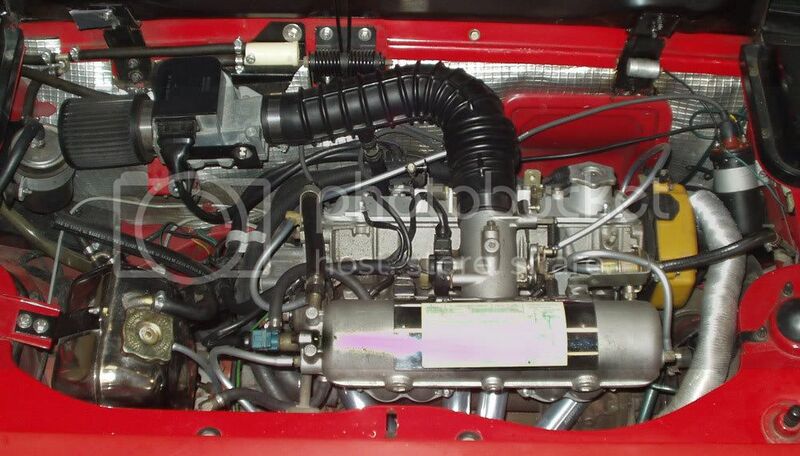 Of course you can see the new header peaking out from under the intake manifold but you may also notice that the coolant overflow and vacuum hoses have been replaced with silver colored silicone tubing and that many of the tarnished OEM nuts and bolts have been replaced with shiny new stainless steel fasteners. 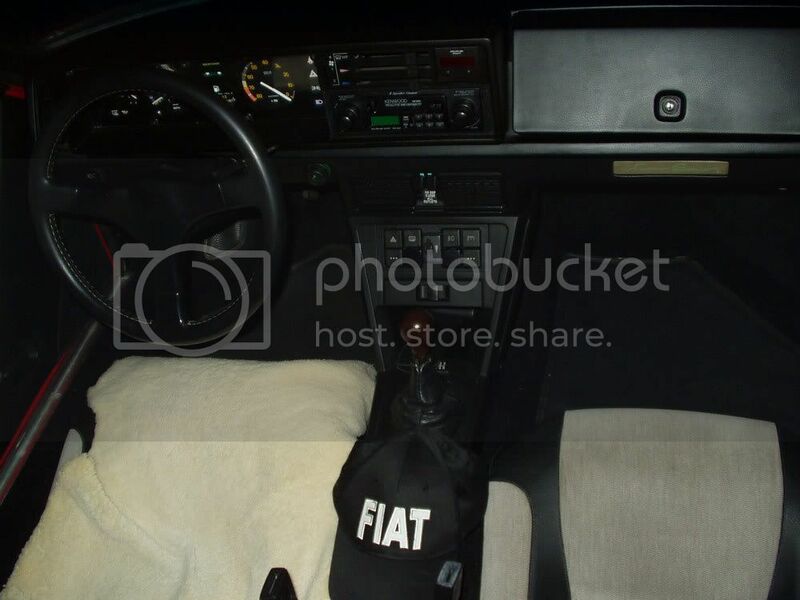 The interior has also had few minor changes. I decided that the maple shift knob that I made wasn't quite right, maybe a little too light in color, so I made a new knob from a chunk of South American Cocobolo wood. It came out beautifully. I also replaced the cheap Panasonic cassette player that came with the car with a much nicer Kenwood deck. The Kenwood is a older model so it's more or less period correct and better still it was a 75 cent garage sale find - you just can't beat that! The sheepskin on the driver's seat isn't there to cover any new problems rather it's to protect the seat from wear. Did you notice the Fiat cap? My daughter bought it for me while on a college trip to Italy! Looking at the photos on the previous pages you may get the impression that I spend all my time working on the car and never drive it. Not so! 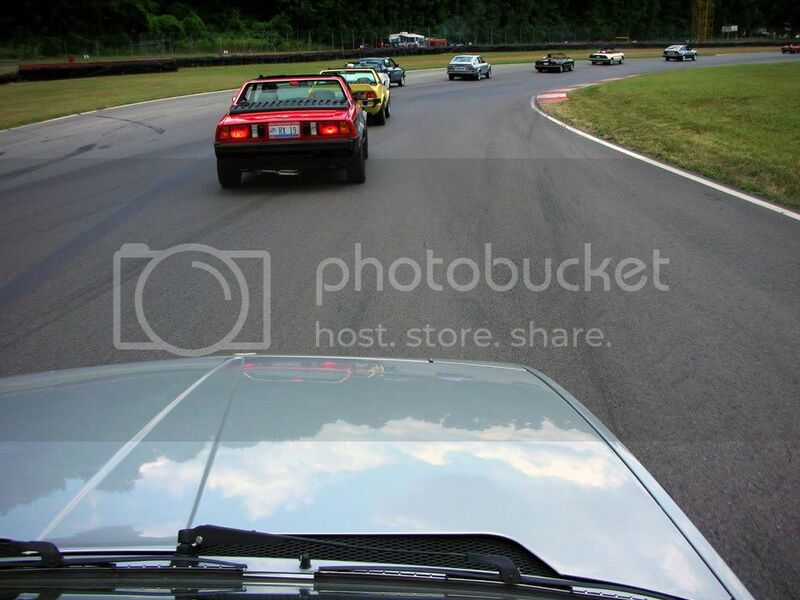 This at Mid-Ohio race track when the classic car show entrants were taking a parade lap around the track. 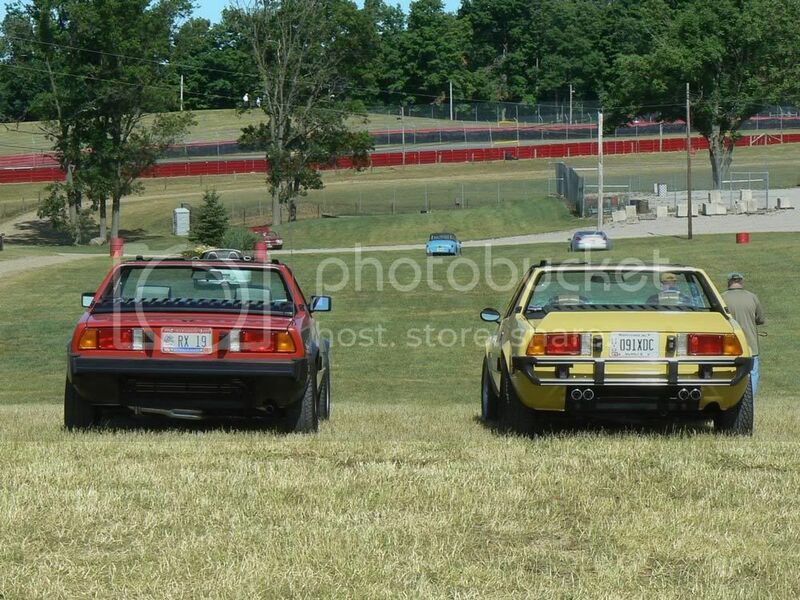 Still at Mid-ohio after most of the other show cars had gone home. The yellow X belongs to my friend Dave. He bought the car new all the way back in 1978. Back at Mid-ohio, this time for the American Le Mans race. 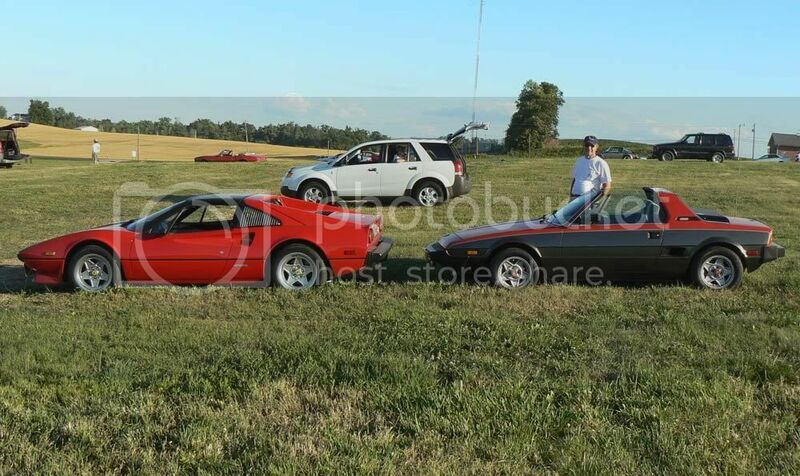 That's Dave's Ferrari 308 ahead of my X. 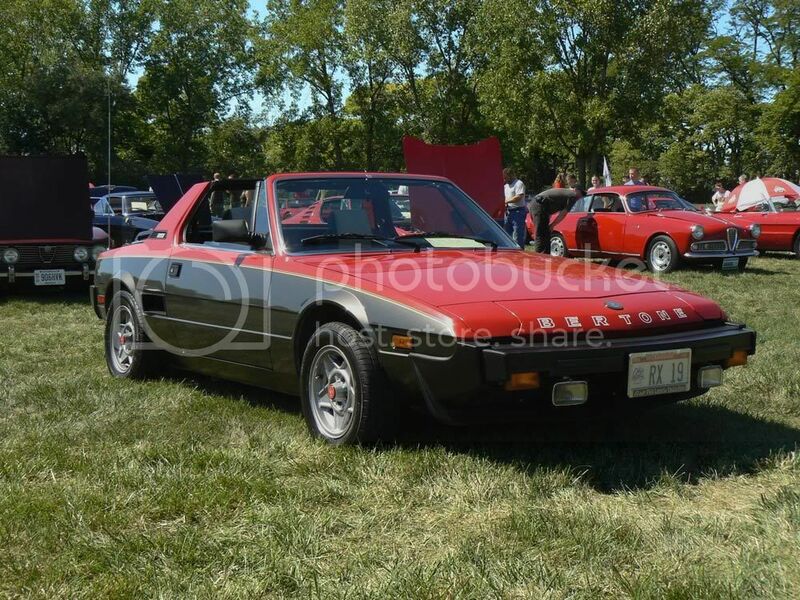 In Columbus, Ohio for the Italian Gathering car show. It was the first time I had ever parked in a lot that was filled with more Ferraris and Lamborghinis that all the other cars put together!